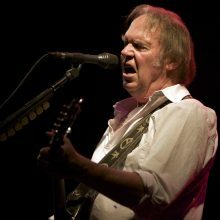 Neil Young has once again taken to task American President Donald Trump for using his song ‘Rocking In The Free World’ at his rallies but admits there is nothing he can do about it. Brett Griffin (aka Spod) is the man behind the new Regurgitator video ‘I Get The Internet’. Demi Lovato stunned and thrilled her Instagram followers on Tuesday (06Nov18) by sharing a photo of herself voting. 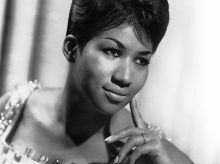 A concert movie Aretha Franklin spent years keeping off the big screen is to be released three months after her death. Ariana Grande has been named Billboard's Woman of the Year. Netflix has announced it has commissioned a remake of the classic Watership Down with Sam Smith signed up for new theme song. The estate of Prince has started a weekly series of rare videos produced between 1995 and 2010. Duran Duran is sending the USA a message with a confronting new video for their 1988 song ‘The Edge of America’. Rapper Mac Miller died of an accidental drug overdose. Sean 'Diddy' Combs' birthday celebrations came to an abrupt end early on Monday (05Nov18) after disturbing his Los Angeles neighbours with his wild party. Mel B has confirmed the "very exciting" news that the Spice Girls are reuniting for a U.K. tour. Spandau Ballet are back for a mini tour with three dates in Italy, two in Holland and one in London, primarily I presume to introduce their new singer Ross William Wild after the departure, definitively this time, of Tony Hadley. Demi Lovato has reportedly left rehab after completing a three-month drug treatment programme. 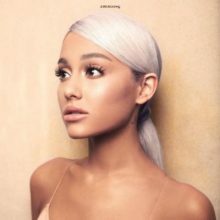 It is very difficult to review an album such as this – it’s one where you either ‘get’ her message or don’t and if you do get it then this will have a life-changing and incredible emotional reaction on you. Rapper Iggy Azalea is celebrating her freedom after parting ways with her record label bosses. 25 Years and Counting... 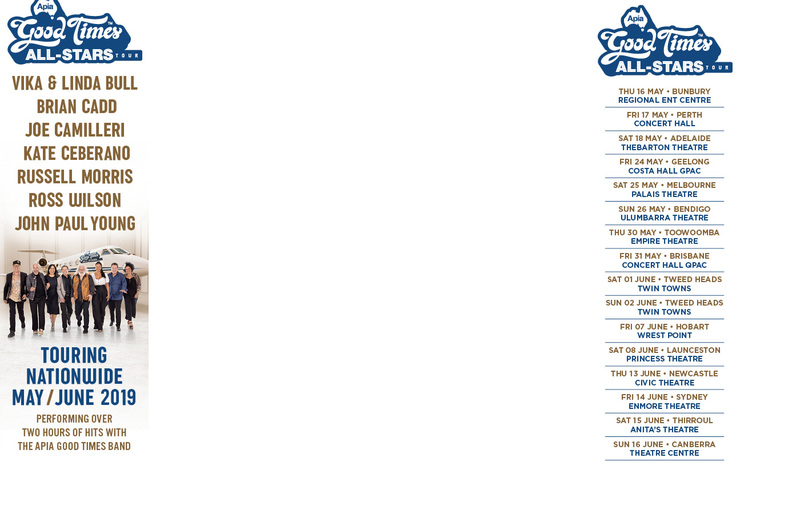 Counting Crows latest tour has seen them play 40 sold out dates across the U.S alone. To conclude, a headline slot at London’s O2 Arena to close BluesFest 2018. Liam Anderson, the 26-year old son of Gary ‘Angry’ Anderson of Rose Tattoo, was murdered his best friend 20-year Mathew Flame of Narraweena in Sydney on Sunday morning (4 November 2018). To be in the room with Dionne Warwick is to be in the room with greatness. 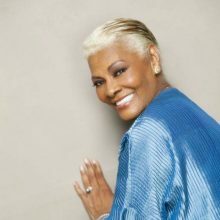 For almost half of the 20th century Dionne Warwick was the poster girl for American soul and gospel with arguably only Aretha Franklin coming close to her talent. 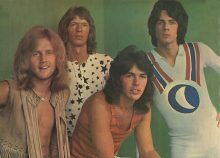 Australia’s legendary 60s rock band Zoot will be remembered with the 50th anniversary collection Archaeology. The killer of Angry Anderson’s son Liam is expected to be charged with murder today in Sydney. Ian Moss has debuted a new music video for his soulful ‘Hold On (To What You Got). A man, believed to be one of the son’s of Angry Anderson of Rose Tattoo, has died after a violent assault in the Sydney northern beaches suburb of Queenscliff. With the ‘Bohemian Rhapsody’ biopic topping box office charts all around the world this week people are asking is that really Rami Malek singing, is it really Freddie Mercury. John Mellencamp has compiled a collection of songs by others he has covered for the album ‘Other People’s Stuff’. 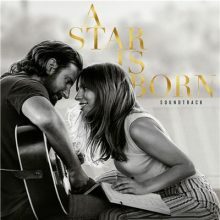 The soundtrack for 'A Star is Born' holds for a second week at the top of the ARIA Albums Chart this week, plus it's also at No.1 in New Zealand (also 2nd wk), America and Canada (both 3rd wk). Lady Gaga and Bradley Cooper hold the top of both charts this week, with their duet "Shallow" atop the ARIA Singles Chart for a second week, plus the song also holds at No.1 in both England (2nd wk) and Ireland (4th wk) and begins in New Zealand (1st wk). Damon Albarn has resurrected The Good, The Bad & The Queen after 11 years. 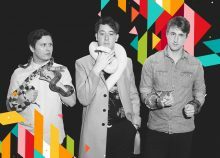 The Wombats will be in Sydney on 27 November for a show to raise money for War Child, the charity supporting children whose lives have been torn apart by war. Hall & Oates have teamed up with communications platform Twilio to urge fans to ‘Voate’ for the midterms. Wayne’s World star Mike Myers has revealed that Queen’s ‘Bohemian Rhapsody’ almost didn’t make it into his movie. 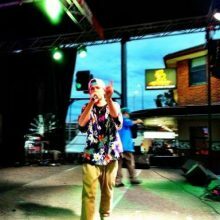 Join our mailing list for daily updates.